Good work you guys! 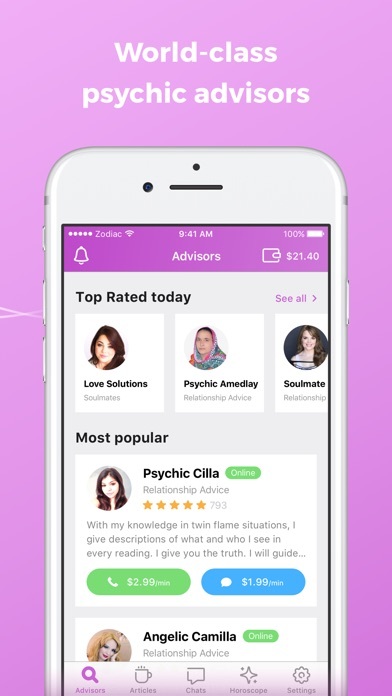 I've been a very long-time user of apps from this team since meeting Psychic Janie a year ago. She's moved to this app recently, and you might meet her if you decide to use your first free question. She's an awesome gal and definitely someone you can trust with your thoughts. 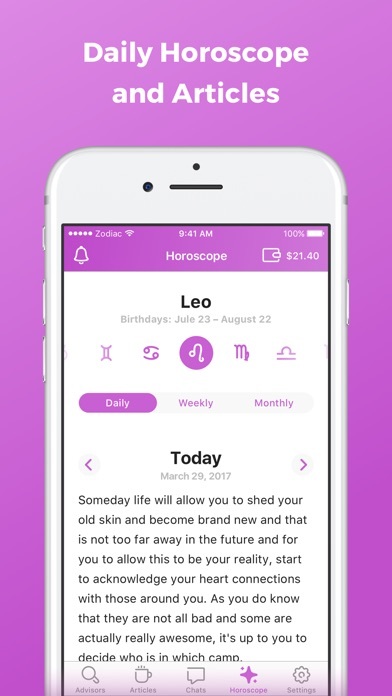 It functions like it says it would but I would definitely like a feature here that would allow me to keep track of my predictions like a checklist. Aside from that, it's an impressive find. 5 stars. Perfect! I love how easy it's to use and how well it works. 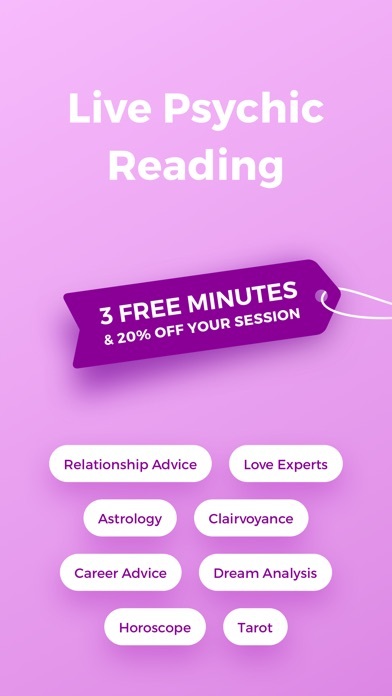 The overall look is great and I definitely love the level of service I've been getting from the psychics. I don't like the limited free minutes but beggars cant be chosers i guess. 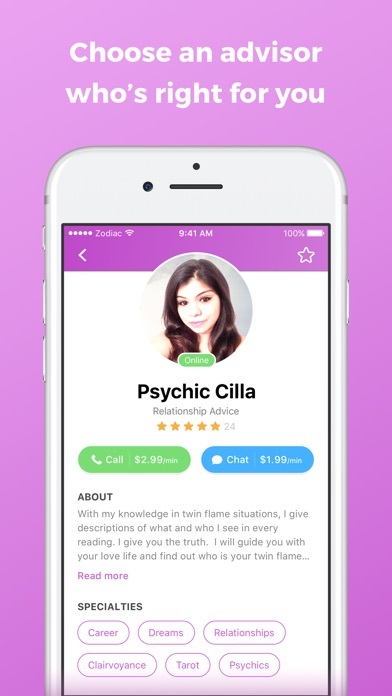 It works as it says it would and there are actually a lot of psychics to talk to on here. I thought there'd be 10 at max. I was pleasantly surprised.